Update: If Motorola Assist does not read messages in home or driving mode (i.e.. it does not respond to your voice) after it asks you say Listen, please follow this guide to fix it. What is Motorola Assist on Moto G? Motorola Assist on Moto G is one of the most useful apps you can find. It was provided by Motorola and, of course, it works on Motorola devices. Motorola Assist on Moto G simply suggests actions to automate tasks, based on how you use your device. The app works like your personal assistant, and works quietly. The Motorola Assist in Moto X and Droid (Droid MAXX, Droid Mini, and Droid Ultra) has three assists: driving, sleeping and meeting. The Driving Assist lets you keep your eyes on the road and your hands on the wheel. Meeting and Sleeping will eliminate interruptions unless it’s an emergency. But in Moto G, the Motorola Assist only comes with 2 assists: Sleeping and Meeting. The Driving assist is NOT available on Motorola Assist on Moto G.
The explanation from Motorola is due to hardware limitation in Moto G. So, do not waste time to find driving assist in your Moto G. Even if you manage to get the APK file, Driving Assist would not work. Once you let your Moto G knows your normal sleeping time, Motorola Assist on Moto G will automatically silence your phone. of course, if you want, certain callers can still get through if needed. You need setup your normal sleeping time first in the Motorola Assist on Moto G. Then , you can enable “Silence” to turn on the sleeping assist.. If you want, by tapping the “>” button (in the right column of Silence, see attached image), you can create exceptions for favorite contacts, or someone who calling you twice within 5 mins. If you change the phone volume when it is in sleep mode, the sleeping assist will stop working and un-silence the phone . If you manually silence your phone when Moto G is in sleep mode, you must un-silence the phone the next day. In other words, Motorola Assist on Moto G will not un-silence your phone if the silencing is set by you manually. Sleeping Assist only silences the notification and ringer. All other apps and media players are not silenced. 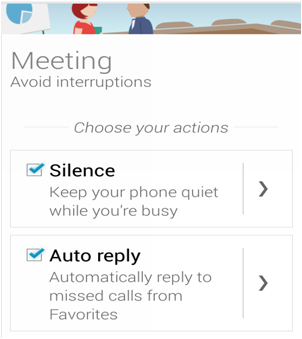 Meeting Assist can automatically silence your Moto G when you are in a meeting. Of course, you can add some exceptions so that certain callers can still ring you. You can also choose to send auto-replies via text messages to missed calls from Favorites. Motorola Assist on Moto G checks your calendar to figure out if you are in a meeting. Motorola Assist on Moto G follows a complex set of rules to filter out things on your calendar that may not actually be a meeting (e.g. birthdays, reminders, etc). Similar to that in Sleeping Assist, Meeting Assist will only silence the notification and ringer. Have you tried the Motorola Assist on Moto G? If not, try it today! If you have any questions on Motorola Assist on Moto G, please do not hesitate to let us know in the comment box below. I have Moto G 4 play. I’m facing problem that i can’t hear caller’s voice until i put it on speaker. If i on speaker button then i can listen. What’s its actual problem and what’s the solution? After switching to the speaker, if you switch back to the earpiece, can you hear any sound? You can also reboot the phone to see whether it helps. I am unable to get moto assist to read text/email aloud on my moto g 2014. I am now at marshmallow but it didn’t do it either in Lollipop (except for the 1st time Ihad my new phone on the car and then not after that). I have tried factory reset and all possible seetings I knew about with no change. also tried with assist off as I though it ashoudls just work in android period, but it doesn’t). also re-paired phone with car (2016 toyota rav 4) with no change. Some vendors have own car mode or driving mode. It’s not a standard Android feature. What’s settings in Motorola Assist? If you tap the “>” in the right of Play music, does it remind you about location services? You need set local services on by tapping enable. Did you turn off notification? For calling issues, can you make phone calls? I am wondering what that means. Now that I have texted him back, the numbers are not there. FYI – when I received his text, it showed his name and (1), which I assume means he is only texting me and not a group. Thanks for clearing up this curious thing for me! Not sure. Usually, the number right to the name indicates the number of messages in that thread. I have a Moto X and noticed the same thing. It seems to indicate the number of characters in the text, and if over a certain amount, will send 2 texts breaking your message up, rather than including it all within 1 text. So in your case, 79 characters in 2 text messages. I’ve tested this by deleting characters in my text the minute I see the numbers appear while typing, and again in your case, you’d see the 79 decrease to the point where the 2 either disappears or changes to 1. Strange, I know, but true none the less. Hi Simon. Do you know, how can I add places at Moto Assist, in Moto G 3Gen? Looks like new software Marshmallow removed and sadly downgrade the very actually few smart tools I had. Motorola Assist is retired in Marshmallow update for Moto G. You can use smart lock for to unlock the phone based on location. Fur other features, you have to find some apps. Thank you Simon as usual an express answer. I’ll look for smartlock. Do you recommend other apps similar to Moto Assist? I find weird, that I activate Do not Disturb in Moto G 3GEN ( Only Priority ) and I get any sound and message notification from non starred contacts. At first worked perfect, then I used my phone and now is doing nothing. Actually, there are not good alternatives for Moto Assist. Especially, the meeting assist and home assist mode. Most other apps are buggy and do not work in Marshmallow due to internal security measures in Marshmallow. I will share with the community if I find one if the future. You can try to play with event rules under Do not disturb (Settings– Sound & notification –Do not Disturb–Automatic rules–Event. You can add more time or event rules in Marshmallow. For DnD, you need tap Priority only allows, tap Messages, make sure “From starred contacts only” is selected. Hi, i am using moto G second genration phone. and assist functionality is not working. favourite and non-favourite numbers interrupted me in downtime. help me to out this. What are your settings for downtime? What is the exclusion list? 1. I turn my phone into Priority mode, which I have configured to only Vibrate on calls. Everything is fine. 2. I go into a meeting, which assists notices, and it acts accordingly. Everything still fine. 3. The minute the meeting ends, Assist puts my phone into the All notifications state. 4. I have to switch it back to Priority manually. This can be quite annoying as meetings sometimes take slightly longer, and then you’re suddenly sitting there with you’re phone making a lot of noise. Also, switching back to Priority mode everytime is cumbersome. Any ideas on how to tackle this problem? This is a known problem for Motorola Assist app. This right side button option is not available in Moto G3. How to create these exceptions then? Are there any other options? You can set it in Downtime (settings–sound & notifications– Interruptions) now. How to activate silent mode on moto g3? And I want to know what actually the the sleeping option of moto assist does? Tap volume rocker, tap none to silent your phone, including the alarm. Or adjust volume all the way down to left. It rings at 0 volume. You can also use Priority mode to fine tune notifications from specific apps or contacts. Please read this guide on notifications and interruptions on Lollipop. For the sleep assist, it will silence the phone. You can define exceptions. You can use downtime settings in Lollipop. I don’t know what happened to my phone yesterday. It was put on charging and I saw that 80% charging was done. After 10mins came back and my phone wasn’t starting. The screen went blank. After half an hour the phone started again after I pressed the power button for very very long. What kind of issue this can be? Ps- my phone was on sleeping option at that time. If it happens several times, you need check the phone in service center. Especially, if the phone does not respond to long press of power button. If it just happened once, it can be due to some apps or some software glitches. You can forget it. This is normal. The sensor feedback is not instant. But it should not lag too much. You can just use downtime settings on Settings–Sound &notification– Interruptions. Hi , this is my first Android and first Moto G 3rd. I’m a little confuse cause it looks like Moto Assist, assume that I want to silence every notification when add home or work to my places. I would like to customize a lot more my places. I can add favorites contacts but what about other apps? What do you recommend or suggest? Other wise every place I add, will make my Moto G remains in silence all the time. Not sure what exactly you want to do. 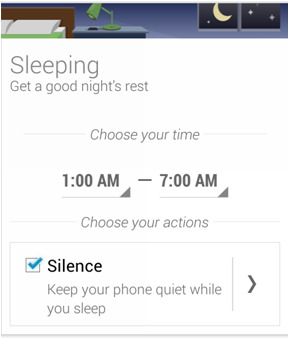 Motorola Assist only silence your phone based on sleep assist and downtime settings. You may list down what you want to achieve one by one so that other members may give you suggestions. Moto Assist goes silence at any place added. I like it pretty much if I go to watch a movie, or a meeting, sleeping time is awesome, but what about work ? I don’t want to miss every call or every notification I receive from whatsapp. I understand I can select starred contacts, but this only works for calls. However if a new client call me, I won’t listen cause it’s not a contact yet. What about other apps where I would like to be alert ? Hope to be more specific in my question. Hi Simon, it’s me again; sorry for comment with no reply yet but I just found the best description for my questions about Moto G Assist. It would be great if I could have 4 priority class to add at every place in my daytime. 4- silence, no one call me. * 5- would be awesome like customize just as you wish to add contacts to these list. I don’t think they are available. Current, you can only use 3 categories: anyone, contacts, favorite contacts (starred) when you set priority mode/downtime. Motorola assist does NOT silence the phone based on location. The home assist actually uses voices. Probably Motorola Assist is not able to meet all your demands. I don’t think there are any better solutions than Motorola Assist. For individual apps, e.g., WhatsApp, you can add the app to priority list in Settings–Sound & notification –App notifications–WhatsApp, enable Priority. This is a terrible app. It thinks I am driving when I am on the train or when I am a passenger in a car with colleagues, which I assume means that then it thinks I will want text messages read out loud! Disabled. This is how driving assist works. It makes the judgement based on your motion. It is hard to determine whether you are driving or just sitting in the car. There are probably no apps for this yet. You can always disable driving mode. Enable it only after sitting behind the wheel. Thanks. But I think I understand how it (doesn’t) work. It uses up memory and battery to make bad guesses about what I’m doing based on insufficient data. The point is, if it’s going to get it that wrong that I have to manually set my activity, then it’s basically the same as the “profiles” settings I had on my Nokia in 1999. If you don’t drive daily, as I mentioned, you should disable driving assistant. You can always enable it before driving. This will make it similar to old driving mode in some phones. As you mentioned, the app doesn’t work perfectly. But without such experiments, we always have to manually use the old driving mode. At least the feature is very helpful for owners who drives everyday. Also, Motorola Assist provides some other useful features such as home assist and meeting assist. You can enable/disable them individually. I drive pretty much daily. I also use other modes of transport. I’m not sure what your assumptions have to do with it. If you want Motorola to do experiments on you then you’re very welcome. I’m just saying I’ll stick with manual settings until the automated ones are more than guesswork. There are no apps that satisfy all owners. As I mentioned, you can use Motorola Assist as old manual driving mode if you use different transportation modes. As I know, Motorola Assist is probably the best apps for a lot of owners to automate things. I don’t think it’s an experimental product. Please note, this is a community site for Motorola Moto device owners to help other owners. on’t know how to get rid of this. What are the settings in Motorola Assist? Under sleeping, what time did you choose? Does it detect you are at home? Sometimes the GPS/map may report inaccurate location info. Motorola Assist is available for Moto E.
Did you manually flush rom? Then, probably Motorola Assist is not available in your region due to legal reasons. I have problems with answering my phone, the phone rings, then when in standby I swipe the screen to make my selection, the get asked a lot of multiple choice questions about not answering the call, is there a way to swtich this off?? Please follow this guide to clear cache partition and tell us what you get if you cannot go through. What questions? Did you install some third-party apps to manager calls? You should test the call in safe mode. Please follow this guide to reboot Moto G into safe mode and test again. if you go into phone then into settings, then into general settings, at the bottom ofher/ Quick respnses/ which include,;t talk now what’s up? I;; call you right back Ill call you later or can’t talk now call me later, and these responses come up as you try to answer the phone, it refuses to let you answer the phone normally, If the phone is in use and some one phones she get the usual answer or dismiss call on screen, I don;t know if this came through on a recent update, the operating system is 5.0.2 same as mine, but as said the cache sorted my phone but not hers. Just got this phone and cant get Home to read anything out. Home icon appears in Notifications (also says home is active). In the Assist app Home section, ‘talk to me’ is checked. Having wifi/mobile data turned on or off seems to make no difference. When someone calls you or messages you, what happens? Calling seems to work Ok now as I get the voice telling me to Answer Or Ignore. But I dont get that with text msgs – just the notification ringtone & flashing light plus the screen waking up for a few seconds (presumable because of the ambient light setting being on). You need use the default messaging app. I have the default SMS app set as Messaging. I want to turn off Mobile data during ‘Sleeping Mode’. Is it possible? There is no such an option yet. if you know you are not going to use mobile data for at least a few hours, you can manually disable mobile data. Another workaround is to enable “Restrict background data” (in settings–data usage, tap menu key in top right, then tap restrict background data). This will stop mobile data usage when phone is locked. I am troubling to connect internet connection in my moto g 2 mobile.I set mobile data option,after I choice mobile data limit option. I Want change data limit option.I change myself but not changed.please help me quickly. Can you drag the limit line up and down? I clicked on “I’m not sleeping” because I was working late, but now I do want to sleep – how do I turn it back on again, please? (for the same night, I mean – I expect it will work as usual tomorrow night). Turn the sleep assist off (uncheck it inside the assist app), then turn it on. My moto-G started to block my calls from one freind. It goes straight to voice mail and gives me a message that I recited a blocked call. Not sure what’s going on. Call carrier and they said I do not have any blocks help please. If you get the message telling you the blocked call, it’s blocked by your phone, not by your carrier. If it’s blocked by your carrier, you will only get voicemail notification. Have Moto G with Assist and Agent both installed. Trying to determine which to use and how to disable the one I don’t end up using ? You can always disable the app in settings – apps. Thanks, but can you recommend which to use? They are quite different. Motorola Assist is simple to use. Agent gives more controls. If you used agent for long time and are happy with it,you can continue to use it. If both are new to you, try motorola assist first. You should check Use Downtime settings. Then setup Downtime in Settings–Sound & Notification- Interruptions. You have more granular controls now. What exactly came through? SMS notification or app notifications? You need setup priority interruption. For each app, you can also turn off notifications or set as priority. In the Settings–Sound & Notifications –Interruptions, tap calls/messages from, choose Starred contacts only. Anyway, you may check with local Motorola service centre if you need assistance. In my MOTO E, all facebook birthday notifications are showing up on same date at 8PM, So even if I meet them morning I am not able to wish them due to I am not aware. How to change it to show on morning time? It should be controlled by settings inside the Facebook app or your Facebook account. It has nothing to do with phone settings. Motorola Assist does not recognise I am at home and does not announce or read out texts etc. Location is set to high accuracy and the address is definitely correct (I live in a detached house so should be no problem). I have just had the lollipop upgrade but it didn’t work before this either. It worked for a short while after I got the phone and still very sporadically. I have tried rebooting, clearing cache etc. but all with no result. Any further ideas? It could be due to the inaccurate map in your area. Open assist app, tap your current home address. It should show your current location on the map. You can set this wrong address as your home address. This doesn’t affect your home address in other apps. hi, in my moto g, i am not getting drive and home options in the assist app even after updating the app. can you please help? What’s the version of the app? You can check the version in settings – apps – assist. 2.5.4 should have home and drive assist. It is the latest version for Kitkat (it means your phone has not updated to Lollipop yet). You can try to clear cacahe and clear data for the app in Settings-Apps-Assist. Then reboot the phone. Question 1: my Motorola g4g doesn’t keep the house icon in the window, even though it knows I’m home. What to do? Question 2: it doesn’t read out messages or caller I d, when I say listen. I don’t hear interference, like some do. What to do? 1. It is very likely due to GPS error (or Google maps error). You can check the current address based on GPS by tapping the location icon next to your home address in home assist. You can use this address as your home address if the error is consistent. This will NOT update your home address in Google account. 2. What did you hear? What’s shown on the phone screen? reboot (power off,then power on) the phone. When I have sleep mode enabled and then press “I’m not sleeping” (not sure what it says in English) in the notification window, will the sleep mode re-enable itself after some time? If not, this should really be a feature. No, it will only enabled automatically next day. You can disable sleep mode, then enable it, if you want to enable it immediately. the volume is to low to understand moto asstant. i do have the ringer & audio levels set all the way up. When playing music, is the volume also low? it is a new droid turbo 444 version, music, ring, voice, speaker voice ok. only moto asstant volume is low how do you turn it up? Not sure. I think Motorola Assist uses the media volume settings. There are no special settings for it. Anyway, you can try to clear cache and clear data for it in Settings–Apps–All–Assist. You need contact the developer (Chrysler). I think they only support some phones, not all. How do I keep it activated? I have my location set but don’t see anything I could press to turn on when it goes back off. Is there a time limit or distance within location area? Why does it work than cuts itself off and why if it was reading text would it stop reading text? If the location is detected properly, you should see a home icon in top left of status bar and you should get notification messages as well. Very likely, the location is not accurate. In Motorola Assist, you can tap your home address to find current address and how far is it from your actual address. Moto assist does not force on the Bluetooth in my car when using the driving option. It just starts the app which i can see but not hear. I’m using the droid turbo running 4.4.4. It worked fine in my car with the moto Maxx. I have selected the alternate Bluetooth option. Not sure. But you may try to enable Bluetooth in Google Settings app. Start Google Settings app (which is pre-installed), tap Search & Now- Voice, turn on Bluetooth headset. I have a MotoG when assist says say listen I get interference is there anything I can do to cure this? This issue is caused buy Google app. 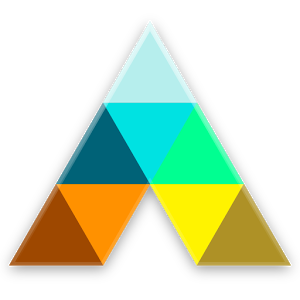 Before Motorola releases an update for the Assist app, you can uninstall the update for Google app (in Play store, choose uninstall to revert back). Then the Assist will work. You say that assist’s driving mode will not work with moto g, and yet it worked fine on mine up to a few days ago. What gives? Driving assist was added to Moto G together with home assist in an early update last year. Can the Moto G read text messages aloud if I ask it to from the okay Google screen? Probably not. I don’t think there is a corresponding command for this. I was disabled and then also I am facing the same problem please tell me if possible to uninstall my moto assist?? Ya i am sure it’s due to moto assist only…please tell me how to turn off the setting ?????? Start moto assist app, under meeting and sleep, uncheck everything. As mentioned, you can also disable the app in settings – apps. Hi frnds Please help me how to stop using moto assist in my moto g2 phone. Before 1 month itself I am facing the problem if someone calling me means my phone automatically getting silent mode i want to avoid the silent calls and automatic silent. Are you sure it’s due to Moto Assist? You can try to turn off the settings for sleep and meeting. Of course, you can disable the app in settings – apps. If your phone was updated to lollipop 5.0, the problem can also be caused by notification settings. I set sleeping mide And the volumen of alarm get considerable low. I have to every night adjust the alarm volume because if not I don’t wake up. I try to turn off the sleeping mode but I could not. Since you enter some sleeping hours you can’t switch back or turn it off. I’m upset. If you uncheck Silence under Sleeping, the sleeping mode actually is off. Did you check the volume settings in the Clock app. Open the app, tap the menu key (3 vertical dots in bottom right)-settings–Alarm volume. I want to set my WiFi auto turn on when using Assist Home profile. There is no option like before with Smart Actions when I could have chose my actions, here now with Assist allows me only to Read my Messages (Talk to me). Is there a way to set my available actions for Home profile? Motorola assist does not provide this feature. You can always put the “power control” widget in your home screen. Then you can easily toggle on/off WiFi, Bluetooth, sync, location, and auto brightness. I cannot slow down voice read back during assist driving mode HELP PLEASE! Settings–Language & input –Text-to-speech output — Speech rate. You can try slow. If you please add the video I would be pleased. I will try as per you said for meeting options in calendar but I’ll prefer to do it after watching a video. You can just try to add meeting to your Google calendar and make sure at least one people (except you) accepts the calendar event. The phone need detect you are driving. Very likely, Moto g fails to detect the motion or fails to get the correct speed reading. There are no much settings. You just need check “Talk to me” and/or Play music under driving. There’s a new feature in Motorola assist called ‘home’. How do we used that??? Yes, there are two more assists from the latest update. The Home Assist assumes you may just put the phone on the table and your hands may be busy with food… So, it will read all incoming messages and callers automatically if it is enabled. To enable the Home assist, you need turn on location and specify the location. That’s it. The Driving Assist is similar to other driving mode apps. It will read the messages and incoming calls. It may also play music automatically if you enable that option. What makes Motorola Assist unique is that the phone detects whether you are driving. If it finds you are driving, the assist will work immediately (if it is activated). Other apps usually requires you manually enable the driving mode, and you may have to manually disable it once you finish your journey. I will update this page after test them thoroughly. My set is Motorola Moto g XT 1033 16GB, Is there any way to activate the phone from sleep mode other than pressing power button? There are some apps that use proximity sensor to unlock the phone. You can wave your hands over the sensor (near front camera). But it may drain your battery a lot. If you want to try, you may try wave to unlock or shake to unlock. Pay attention to battery usage. I purchased a Moto G 2nd Gen a few days back and configured it fully with setting up email, installing apps etc, before I realized that the sim2 slot is missing in the device. The online store after seeing the images agreed to send a replacement phone. How do I just get all the settings back with least efforts. I need contacts, apps (all installed from google play store), photos, videos, and if possible text messages and calendar back. I have turned on the backup using google account on the device. Is that sufficient ? Also, How do I make sure that I am not sending back any personal data with the old phone while returning ? Will a soft reset work fine and make the files unrecoverable? For photos and videos, you can verify the backups in your Google+. Of course, it is always a good habit to keep a copy offline on your PC. For contacts and calendar, you can verify the backup in your Google account–data tool. For apps, you can always re-install from Play Store–My Apps-All. I have Moto g 2nd Gen, don’t know how but navigation audio got enable. Feeling unnecessary…how to stop the navigation audio? Not able to go to the settings also because it needs double tap for every action. It seems you turned on accessibility settings. You can disable the talkback. Then check your other accessibility settings. I updated the app yesterday and now I have driving assist….. But how does the phone know when I’m driving? \how do I turn on driving assist? Yes, the driving and home assists were added in last week’s update for Moto G and Moto E.
Moto G detects your motion based on the Gyroscope sensor. To enable driving assist, you can open the app, under driving, check talk to me and/or play music. the it should work. I’ve selected silence in the meeting mode but it is not active. How do I make it active? Very likely, Motorola assist failed to detect the meeting event. Please make sure the event meets the conditilns mentioned in the past. Would you please elaborate? for example, what’s the problem when you want to do something? You are using WiFi (settings–WiFi)or mobile data? Both should NOT rely on computer. There are no such options yet. Anyway, Motorola is still improving this app. When I try to call someone by scrolling up/down, usually I end up in wrong name (point of touch gets activated ). How to proceed in the matter? How to activate Meeting assist. Pls help me out with this. You need a meeting in your calendar to activate this mode. Some requirements on the event are listed in the guide. yeah, thanks for the info.. I tried so much ways to add up some more option but was not able to! .. As it is in-built fn.. now, clear on it! Thanks . by the way, sleeping mode is greatly useful! I love the idea of the Meeting feature on my Moto X, but it has one big limitation for me –my work calendar is not hosted on a google product, and I am not owner. I have added it as an external calendar to my google account and can see it on my calendar display, but because I am not owner, I can’s use it as one of the calendars for Assist Meeting. Obviously not being able to shut off my phone automatically during work meetings is a big disappointment. Why does the requirement that I have to be calendar owner exist, it seems arbitrary, not a technical problem. Motorola assist is still new. It was first introduced in Moto X. So, I guess there will be some updates when the new version of Moto X is announced this summer. Such updates then may be ported to Moto G.
No matter what I do, the meeting function does not work at all with my main calendar. It does show up in the settings and I have enabled this, but no meeting since I bought the Moto G last week has ever gone in to meeting mode. Is there an issue with Microsoft Exchange calendars? Did you check the requirements to trigger the meeting assist? Did you accept it? Did you have more than one attendees? ya it happens for some areas only but in that area network network is good. And I have changed the sim slots, for sim1 only its having the problem, sim2 is working fine. Then you may ask the service center to check the hardware. Yes I have checked it. For other phones its working fine. does this happens in “some” areas? Anyway, to me, it still sounds like a mobile network coverage issue. In my Moto g phone, its showing R symbol in the notification bar(top right hand side) even i am in the home network and also sometimes networks will go off suddenly and after sometime it will come back. Can anybody solve this problem please…. It sounds like mobile network issue. Did you check with your phone company on the network coverage? What if I want it silenced everyday at school? If it is free if your device is supported. Are you using the default hangouts for your sms? You may try hangouts. You need set it as the default messaging app. My Moto G Moto Assist App is not sending auto replies to missed calls when in meeting mode. Did the photo actually detect you were in a meeting? Normally it works when the number is in your contact, and you mark that number as mobile. Any suggestions for alternatives for the driving assist? Not sure about any good apps for this. My moto g has stopped playing videos ? On YouTube Facebook pretty much any video it will not play ? To reboot Moto G, press and hold power button for about 7 seconds. You can also press and hold power button to follow the on-screen option to power of the phone, then power on it by pressing and holding power button. You can go to contacts app (People), to tag the person as favourite. Once the option is enabled, Moto G will silence the ringer unless the call is from one in the list of favourites. Just press and hold the power button until you feel a vibration. A box will show up in the center of the screen, behind Power off and AirPlane mode, there are three buttons for ringer options: silent mode, vibrate and ring. Touch the Silent mode (the first one from left) to make you Moto G into silent mode.